Republican Maryland Gov. Larry Hogan said Monday that he doesn't yet believe President Donald Trump is vulnerable in a primary, but he's still considering launching a challenge because "things could change." 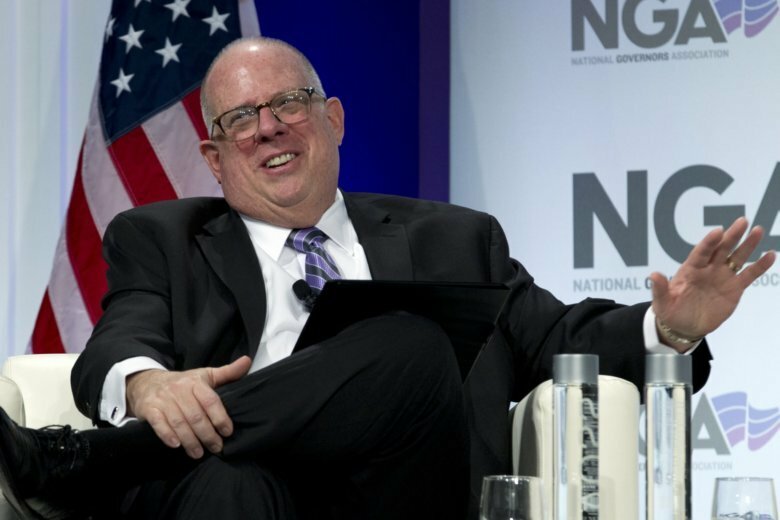 Hogan, who won re-election last fall, said he had no political events planned for his two-day visit to the state but acknowledged he was fielding calls from Republican “thought leaders, donors and some elected officials” asking him to challenge Trump. “We’ll see. You never say never,” he said. Hogan demurred when asked by the AP if it was time to start considering impeachment. In 1974, Hogan’s father, Lawrence Hogan Sr., became the only Republican on the House Judiciary Committee to support all three articles of impeachment against then-President Richard Nixon. “It’s going to be a long saga for the country,” he said.